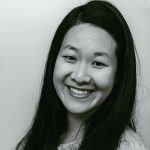 Published Jun 26, 2018 By Julia 30 CommentsThis post may contain affiliate links. 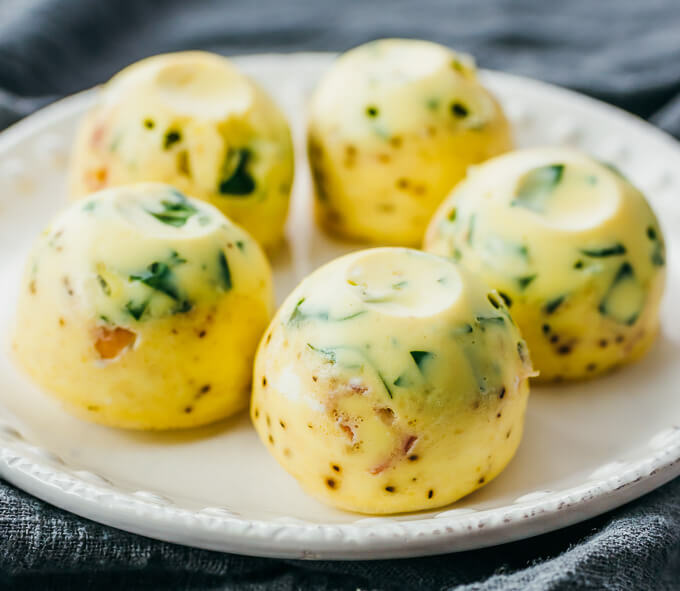 These Instant Pot Egg Bites are soft and velvety, reminding me of eggs prepared using the sous vide technique. 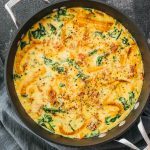 Made with spinach and prosciutto, they’re a delicious breakfast that’s both high in protein and portable. 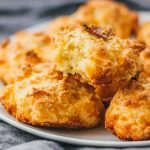 Serve these egg bites with Low Carb Biscuits and London Fog for a fantastic keto brunch. I have a 6 quart Instant Pot and I use this egg bites mold, which perfectly fits my pressure cooker. It has 7 compartments, and each can easily fit about 1/4 cup of liquid. If you have another type of suitable mold, that’s fine too. Just make sure it fits your Instant Pot and is safe for pressure cooking. If you substitute any of these ingredients, note that the nutrition information will be different than what is listed here. For best results, you might also need to pre-cook some of the veggies and/or meat. You can also switch up the cheese. Maybe swap out the parmesan cheese for pepperjack, feta, or cheddar. 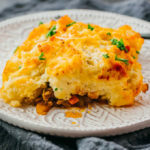 If you use shredded cheese instead of finely grated (sandy consistency) as directed in the recipe, you may want to use a blender to ensure a very smooth mixture before filling the molds. If you like your eggs or breakfasts to be a bit saltier in general, I recommend increasing the salt from 1/8 to 1/4 teaspoon. That’s what I usually do, but I tend to enjoy saltier foods more than most. Another variation is to use only egg whites, although you’ll be missing out on a lot of nutrients and fats in the yolks. Measure out the prosciutto and spinach by weight. Even if you’re tempted, don’t add more than what’s specified in the recipe. If you do, the egg bites will be fragile and won’t easily release from the mold. If you have trouble releasing the egg bites from the mold, run a butter knife along the edges of each compartment to release them. 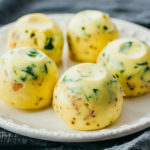 To prevent the spinach and prosciutto from sinking to the bottom of each egg bite, you can add them after pouring the egg mixture into each mold compartment. Either way, they’ll taste great! If you have leftovers, cover and refrigerate. They reheat well in the microwave. If you use the same egg bites mold as I do, it comes with a handy lid for storage. 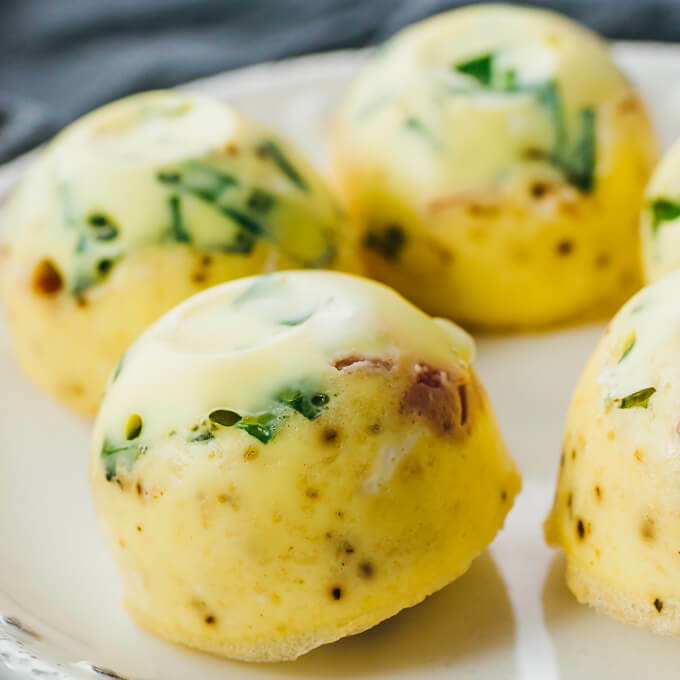 Tasting like sous vide eggs, these Instant Pot Egg Bites are a healthy and portable breakfast with spinach and prosciutto. Low carb and keto. 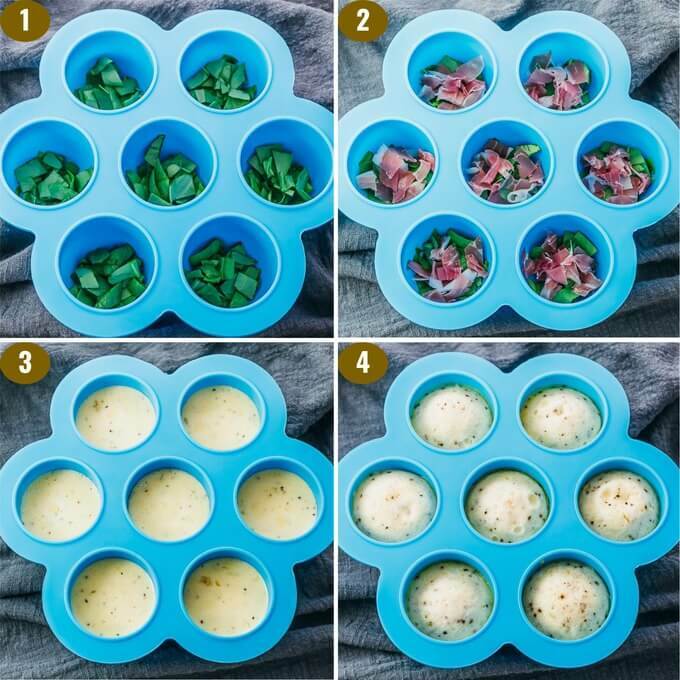 Using a silicone egg bites mold, evenly divide the spinach and prosciutto among the 7 mold compartments. 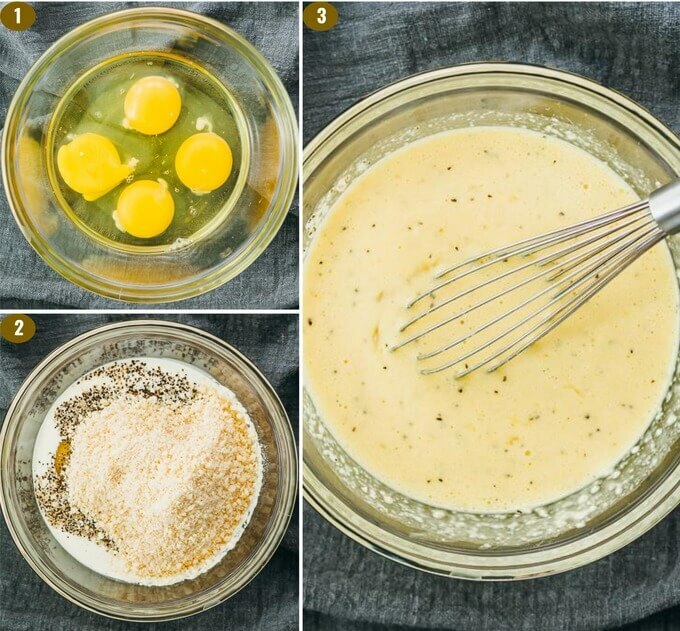 In a mixing bowl, combine eggs, parmesan cheese, heavy cream, salt, and pepper. Whisk until well-beaten and smooth. Pour the mixture into the mold, about 3-4 tablespoons per compartment, filling up about 80% to the top. Cover tightly with foil. Add 1 1/2 cups water to the pressure cooker pot. Place the trivet inside. Carefully lower the mold onto the trivet. Secure and seal the lid. Steam for 10 minutes at high pressure, followed by 10 minutes of natural release. Manually release any remaining pressure. 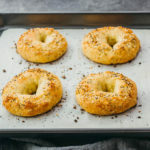 Uncover and remove the egg bites mold from the pressure cooker. Discard the foil. Invert onto a plate to release the egg bites. 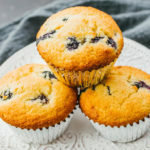 This recipe yields 2 g net carbs per serving (3-4 egg bites or half of the recipe). We made egg bites for the first time… the real egg bites turned out AWESOME! Then we decided to try again but with egg whites because we are working on a healthier lifestyle but these didn’t turn out, they were crumbly and fell apart. 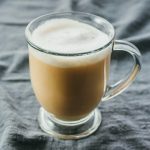 I assume the yoke was binding… do you have any thoughts on how to bind egg white bites? I see a nutritionist and she has suggested using a mixture of egg white to egg ratio! Can these be made in an electric pressure cooker? Yes, they can be made in any electric pressure cooker. I have personally only tested this recipe in a 6-quart Instant Pot. Thanks for this recipe! Bites came out good but a little salty. Did you use Parmesan cheese from the can or freshly grated? I use parmesan cheese that comes in plastic containers stored in the refrigerated section of grocery stores. Not canned nor freshly grated. If it’s a bit salty, it could be the prosciutto, which you can decrease next time. 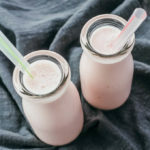 I’m lactose intolerant- is there something I can substitute for the dairy? Check your grocery store to see if it has dairy free options for cream and cheese. My aunt uses unflavored non-dairy coffee creamer as a substitute for dairy in recipes. I’ve never seen it fail her. Do I have to use whipping cream? Can I use 2% or whole milk instead? I haven’t tested this recipe with milk so I’m not sure how it would turn out. If you’re going to substitute with milk, I would go for the higher fat percentage. I just made these this morning with ham, cheddar cheese and a little green pepper. So easy and delicious. Thank you for posting. I was looking for a recipe to try out the egg mold I got for Christmas. They turned out perfect. I made this last week and it yielded 25 bites. I do use jumbo eggs only and I put mushroom pieces and Jimmy Dean sausage crumbles. Making today and adding some leftover chopped artichoke hearts to the mushrooms and sausage and expect I may have a higher yield. Not complaining at all, because they are so good! I take them to work for breakfast (a d sometimes lunch). I love your additions, Robin. I may try artichoke hearts next time. Delicious! I’ve had my egg mold for months, but hadn’t used it yet. I used cooked bacon instead of Prosciutto because I had it on hand. This was delicious, thanks for the recipe! I want to make these using fresh crab meat, same measurement as the prosciutto? 1/2 ounce isn’t a lot of crab meat, so adjust to your preference. You might want to flake the crab meat a bit, or finely chop it, otherwise it might be heavy enough to sink to the bottom of each egg bite. How long do you think these will stay good in the refrigerator? What about freezing? Thanks! Could you use the plastic lid that comes with the molds instead of foil? Hi Britney! I don’t think the lid is heatproof and can be used in the Instant Pot, so I’d stick with the foil to be safe. The lid is for storage purposes. I have used parchment paper in place of foil in the IP. Could you stack 2 of the egg molds to double the batch? Would you need to add more liquid or time? I haven’t tried stacking 2 of the molds, but that should work. Make sure they’re individually wrapped in foil. The liquid amount and time should remain the same. Let me know how it goes! Hi Julia and Carrie 1) The lids on my molds (which look the same as the one you show in the recipe) are heat proof; 2) The molds can be stacked in the Instant Pot; 3) Cook time is the same; 4) Your recipes are the bomb! 1/2 oz spinach will cook down to nothing! See first bullet point under “Cooking Tips” — I mention why you shouldn’t add more than that small amount of spinach. Any more than that and your egg bites will fall apart easily!